Our deliveries are made by: Letter followed with tracking number without signature, Colissimo with tracking number without signature, Colissimo with tracking number against signature, Mondial Relay or DHL. Your order will be shipped within 48 hours (excluding weekends and holidays). Shipping and return costs are the responsibility of the customer. The delivery is free from 50 euros: in Mondial Relay and Colissimo Relay or withdrawal store. For a delivery in Colissimo against signature with tracking number and insurance, a lump sum of 7 euros will be charged. Below 50 euros, a fixed price of 5 euros of transport costs will be applied for a Mondial relay delivery, colissimo relay, colissimo without signature or letter followed. Delivery is free from 140 euros of purchase. For an order of less than 140 euros, the cost of delivery will be 12 euros for a delivery against signature to your home, or 6 euros for a delivery in relay point Colissimo relay * or Mondial relais *. (* Not valid for all countries). Delivery is free from 200 euros of purchase. For an order of less than 200 euros, the cost of delivery will be 30 euros for a delivery against signature to your home. 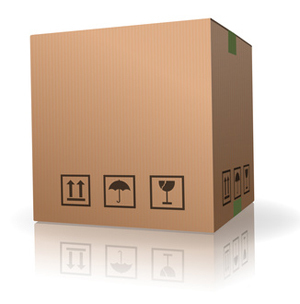 On delivery of your package, you must check the condition of packaging. If you find that it is damaged, you must report it to the carrier on the delivery note in handwritten form accompanied by your signature. Please send us an email to inform us, after which we will send you the address to which you must send a registered letter with acknowledgment of receipt within 48 hours maximum, this procedure to assert your word against the carrier. If you find an error in your order, you must notify us by email within 14 working days of receipt of your order. The buyer has a period of 14 working days from the date of receipt to return at his expense and without cause, the (s) Product (s) he ordered (s). The Product (s) must be returned, after opening, in their packaging and their original packaging to the following address: Rendez-Vous Paris, 218 rue Saint Denis, 75002 Paris and be accompanied by the delivery slip received in the parcel or the invoice received by e-mail when the parcel was sent or the confirmation of return received by e-mail following the registration of the parcel. return. If the above conditions are fulfilled, Rendez-Vous Paris, will refund to the Buyer the total amount of his order, within thirty (30) days from receipt by Rendez-Vous Paris, Products, with the exception of Return costs of Products that are the responsibility of the Buyer. In case of non-delivery or return of the order, the shipping costs will not be refunded and the return costs will be borne by the customer.